Democrat lawyer, Alan Dershowitz appeared on Fox and Friends to discuss Trump’s travel ban. He explained how the courts are psychoanalyzing President Trump. 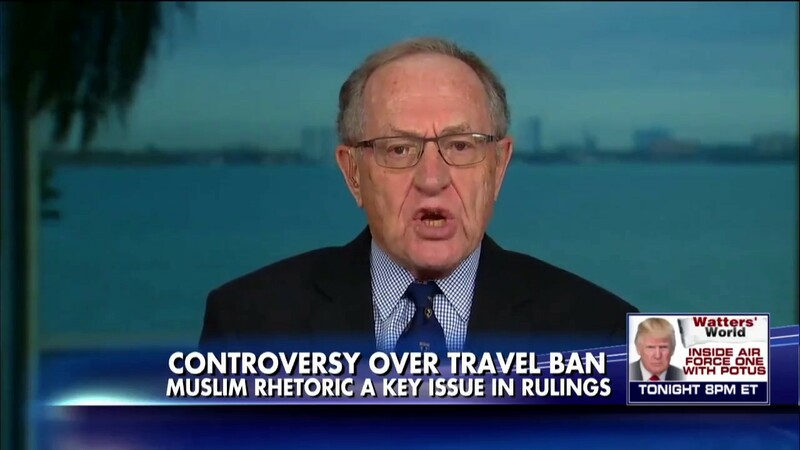 Dershowitz is a lifelong Democrat and has been very critical of Trump’s Travel ban. However, unlike the rest of the Liberal pundits, he was able to separate policy and actual Constitutional law. “I actually said that this wasn’t constitutional analysis. It was psychoanalysis. There is precedent in extreme cases where legislators in enacting a statute say things that you can sometimes look to the legislative intent. But I have never heard of a case where the rhetoric of a candidate, ambiguous rhetoric to be sure — because I do not believe this is a Muslim ban —focusing on a country like Iran, the greatest exporter of terrorism, not only no vetting, it sends terrorists out in order to kill Americans. The highlight of the interview was when Dershowitz commented on how the courts would not have intervened or challenged the Constitutionality of such a decision like this had it been made by Obama.